If you’re looking to completely indulge then this designer retreat on an idyllic slice of Caribbean paradise comes with luxury guaranteed. From the moment you enter (across a lily pond illuminated by flaming torches) you’ll have everything from world-class restaurants, a first-rate spa, a movie theater and the hotel’s own private mangroves as your playground. Nestled on the south coast of Antigua, the largest of the Leeward Islands, Carlisle Bay is a sliver of white sand that sweeps along the coast wrapped in rolling hills and tropical gardens. 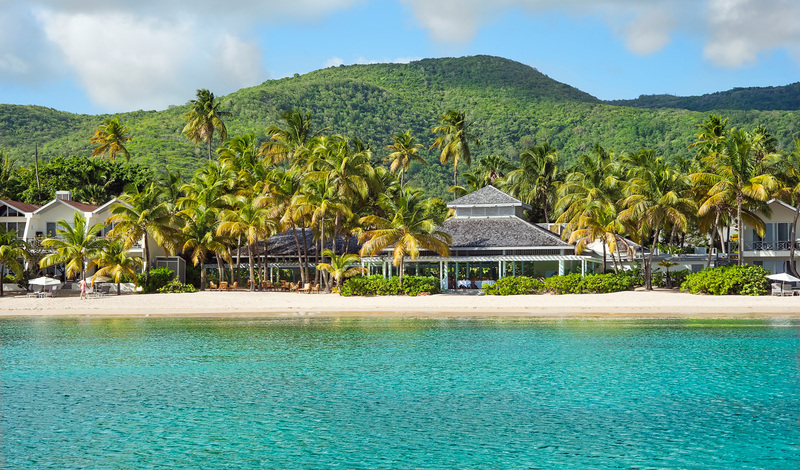 Just 30 mins from the airport in the bustling capital of St John, Carlisle Bay feels like a world away from anywhere. A watersports haven, just a five-minute boat away lies the underwater wonderland of Cadas Reef, offering excellent scuba diving including the chance to dive at night – perfect for thrill seekers. Each of the 82 spacious suites has been designed with style and supreme comfort in mind. Think sleek dark wood furniture and luxurious silks in sophisticated mutual tones. Whether you choose an Ocean, Beach or Bay suite, each comes complete with king beds and its own private terrace or balcony with stunning views. 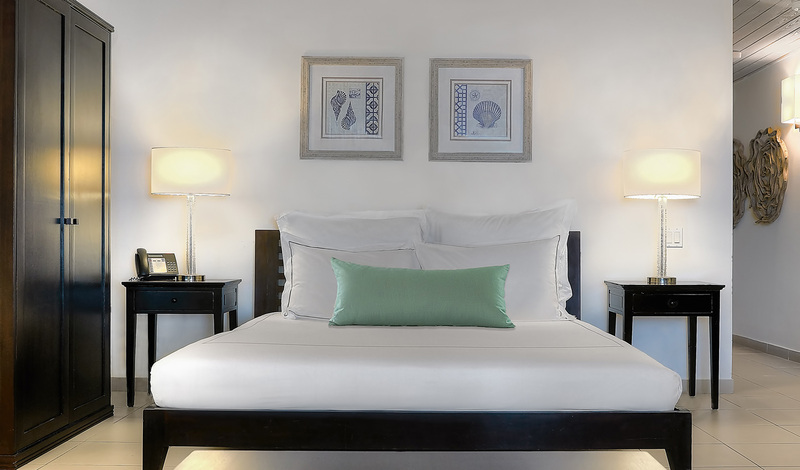 Chic interiors, stunning surroundings and impeccable service – Carlisle Bay is the complete package. Adding to the hotel’s glowing credentials are the three different children’s programs tailored to provide for kids of all ages. The Caribbean Cool Kids Club is open seven days a week and accommodates children aged six months to six years with qualified childcare professionals running programs like lizard hunting, treasure hunts and arts and crafts. The Crew Blue program leads activities for children aged seven to 12, offering raft building, five-a-side football, zip-wiring and starfish hunting. Crush is the teenage club for 13 to 19 year olds and is based in the chill-out room with a Wii, table tennis, foosball and pool tables. They also run a variety of water sports, hold barbecue parties and organize storeping trips to nearby St Johns.